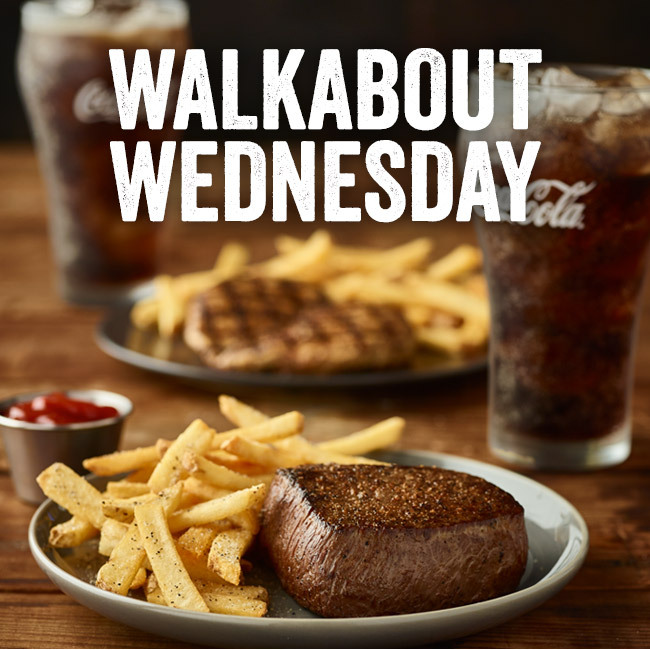 There’s so much to crave at your local Outback… Look inside for details. 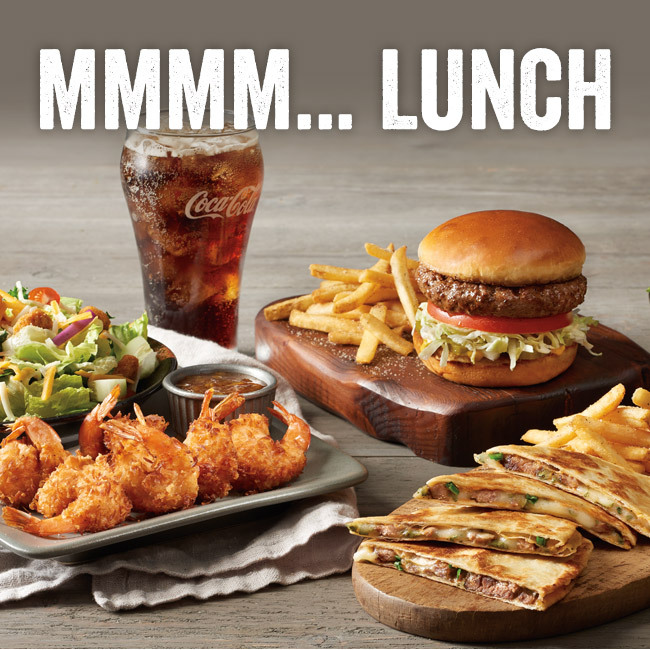 *Prices, product participation and restaurant hours may vary by location. 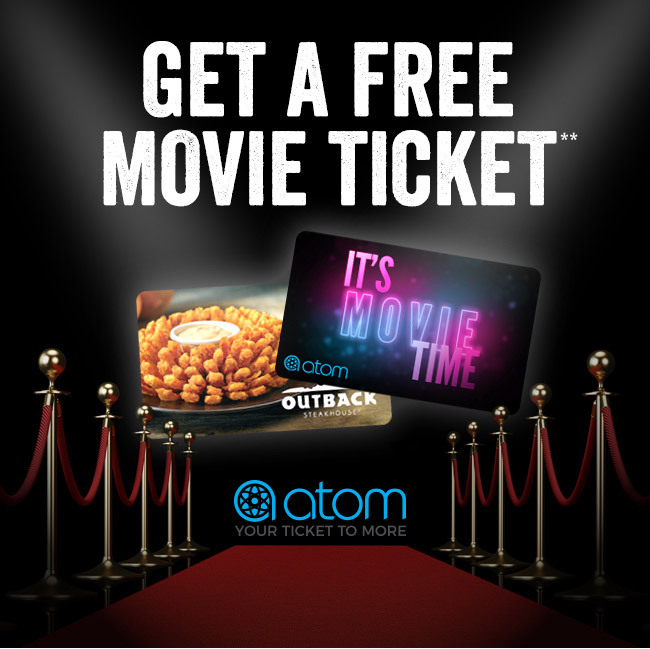 **FREE movie ticket via AtomTickets.com, while supplies last. Up to a $10 value. Valid until 10/1/2018. Do not reply to this email. For customer service, please email newsoutback@outback.com. By Buddy|2018-08-27T10:31:11-04:00August 27th, 2018|All|Comments Off on STEAK AND LOBSTER!! DON’T FORGET! OPEN AT 11 AM ON EASTER! WHO DOESN’T LOVE $5.00 OFF? NO ONE! We are at 2542 likes! Help us get to 3000 Likes! Click Here to get the digital message center information and get your ad on the message center.